Texas is the home to many national sports league winners and they are planning to produce more players that will bring pride to the state. Many of the parents introduce their kids to sport at a very early age to make them familiar with different sports. But what makes Texas kids love sports is the undying support of the people of Texas be it big or small game. They love encouraging the kids in every way imaginable. Inspired by the American flag, All Stars 1 Softball design can put 8 player’s name and their number as well as the coach’s name and team mom’s name. Get the Blue Jays Softball banner from us and see how your kids smile once they see their name on it. You can add up to more than 10 players name and any other information that you want everyone to know. Tigers are fierce and sometimes scary but when used as a design in a softball banner, they can be cute and adorable and kids will surely like it especially when they see their name on it. Monkeys are one of the animals most kids like and if it is their first time to play softball, having a banner inspired from space monkeys will mean so much to them. Have you seen the movie Planes from Pixar? Well if you don’t, for sure your kids have. We love the story of how he rose to success and that will surely inspire your young players too. You can choose from 2 pirate inspired designs and whichever you choose, you will surely make your team proud. Let your kid and their team soar high in the sky with their Jets inspired banner. Seeing their name printed on it will surely boost their confidence. Who says softball is for boys only? Girls can play that too and with the lavender lollipops banner, the girls will surely feel inspired to give their best in the game. Honey Bees are sweet yet tough creature and if you name your team honey bee, they will surely take home sweet victory. Any kid who will see their name in the cool crushes banner will feel proud in the field. Do not take that feeling away from your child. 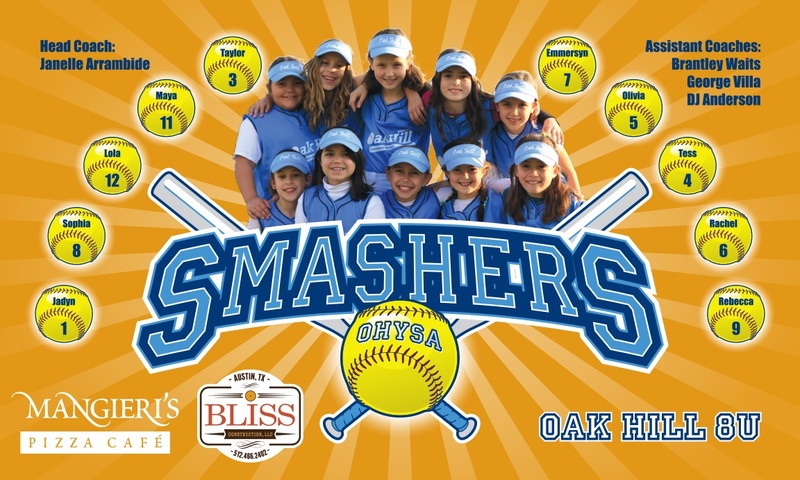 Order banner today and help your kids enjoy the game.